At Eden Garden Design, we are passionate about designing and creating beautiful outdoor spaces for you to enjoy for years to come. Based in Bristol, we work with clients both locally and internationally to help them visualise, design and create beautiful and functional gardens, as well as natural swimming pools and ponds. Our goal is to work closely and collaboratively with our clients, to ensure we work within any budget constraints as well as provide an exceptional personalised service. Whether you’re looking to create the perfect outdoor space to relax, play or entertain we would love to work with you, no matter how big or small the project. Give us a call if you’d like to arrange a site survey, or simply to discuss your ideas! Planning a Garden for Spring '19? Batello Garden Design and Landscaping was founded by Kevin Bale and Paul Cantello. We craft original and creative gardens that are affordable, practical and perfectly tailored to you and your lifestyle. Working throughout the Somerset and Bristol area, Batello brings considerable experience, passion and a commitment to excellence to our work. We are committed to providing the highest level of professionalism and quality workmanship. Drawing from a wealth of talent we specialise in a wide range of skills including landscape gardening, landscape and garden design and professional garden maintenance. Brett Hardy Landscapes provide a professional personal service with attention to detail & a sensitive approach to your garden needs. Great customer experience is our priority. We can provide a complete one stop service from initial concept to completion of your dream garden or we can work with your garden designer. 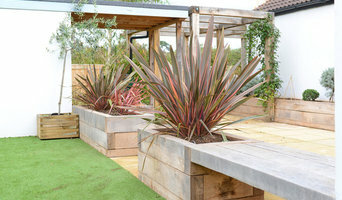 Our friendly team have a wealth of knowledge & are skilled in all aspects of garden construction. Our pursuit of excellence has brought us much praise and a number of awards. We create fantastic gardens and outdoor spaces using responsive design, thoughtful construction and expert planting. At Green & Gorgeous we delight in creating beautiful spaces, offering a full design & landscaping service as well as high quality garden maintenance services. Since small beginnings in 2006 Paul Hermon, has built a fantastic team, including design expertise, experienced landscapers and professional gardeners to ensure we can meet the needs and expectations of all our clients. Quality design is at the heart of everything we do from a small scale planting plan to complete renovation of an entire garden. We pride ourselves on the high quality of our staff - all of whom are already fully qualified or are being supported working towards recognised qualifications. Our friendly and positive team are fully employed, not franchised or self-employed, which we believe shows our commitment to quality over everything else. We want people to achieve the best outdoor space that their budget can provide and strive to provide excellent service in order to make this a reality. Here at Green & Gorgeous we keep our client needs and aspirations at the heart of what we do, we take great joy in seeing ideas become reality and remain deeply involved from concept to completion and beyond. 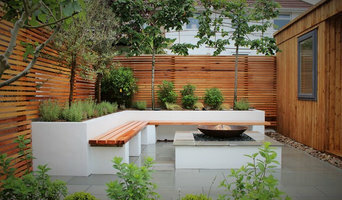 We offer Garden Design in Bristol, Bath & surrounding areas. 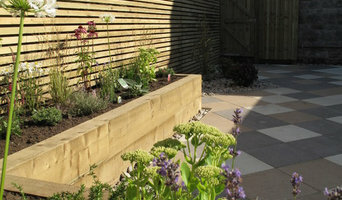 Creating beautiful gardens in Bristol and Bath, designer and owner should work closely and in partnership from day one. My creative and imaginative landscape and garden design approach, combined with a highly qualified and experienced landscape team, means that not only will you be happy with the result, you will also enjoy the rich and varied process along the way. Rachel Irons is a professional garden designer with over 20 years experience designing traditional and contemporary gardens within Wiltshire, North Somerset and South Gloucestershire. A friendly, reliable and complete garden service offering consultation, design, landscape construction, planting design and garden maintenance. We offer qualified, attentive service with a great eye for detail. 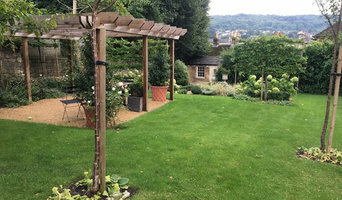 Established in Bath as the premier landscape design company for the past eighteen years. We are a small friendly garden design and build company based in Horfield, Bristol. With over 30 years of continuous trading we have experience of a range of garden styles. We build gardens to a high standard of quality. Jane is an established garden designer working from her home on the Somerset/Dorset borders. Her philosophy is to create unique and timeless gardens using a combination of traditional and contemporary styles to merge nature architecture and lifestyle. Sympathetic schemes are achieved through establishing good client rapport and combining this with a practical but personal approach through to project management. Jane's sensitivity for design knowledge of horticulture and love of plants will transform your garden. Be it large or small, town or country, classic or contemporary, we are dedicated to designing your perfect garden. Our garden design will be a bespoke response to your landscape, but our unique process gives plenty of room for your input. It is a collaboration in which your wishes are key. We met at the Bristol Botanic Garden where Robert was Head Gardener and Lesley was an active volunteer. Together we have 50 years experience in the industry. Coincidentally we both decided to further our horticultural careers by completing a Diploma in Garden Design at the Pickard School. Our complementary skills in horticulture, design and business inevitably led us to form our own design partnership. A landscape architect will handle all design, supply, construction and administrative elements of your garden or landscaping project. They will take into account your needs, the Bristol climate and unique advantages and constraints of the landscape architecture. Typically, work will be based on ecological and environmental considerations, and a garden will be planned not only to look its best but also to facilitate future maintenance and growth so that it continues to flourish. A Bristol landscape architect can also design any outdoor buildings that are to be featured in your garden. Everything from design blueprints through to the plants themselves should be provided by your Bristol landscape architect. If there is other architectural development taking place on your site, bring the landscape architect in as early as possible. The expertise a landscape architect can apply to understanding your space and the natural environment could be vital to planning your project. Let your Bristol landscape architect work closely with your architect, surveyor and any other contractors in order to develop landscape architecture that works in accordance with any other construction. This is important from a design perspective as well as on a practical level – changes to the grading of a landscape and modifications such as drainage can have serious implications on the viability of your land for extensive building and structural works. In order to resolve any planning permission issues, submit all applications for building and landscape architecture together, well ahead of the project. The scope of garden designers, or landscape gardeners, is often more limited to green space projects which will optimise your existing outdoor space rather than altering the landscape architecture as a whole. Whereas landscape architects specialise in the structural aspect of garden planning and building, garden designers in Bristol will carry out projects that are of aesthetic and horticultural value. Landscape gardeners will make your garden the best version of itself with features such as walkways, patios, water features, fences and lighting, as well as choosing the right plants, trees and flowers. The practical role of a garden designer may vary by firm – some offer just the plans, requiring a separate contractor, while others fulfil the project in its entirety, from conceptualisation of the landscape gardening to construction. Don’t be put off by the former if you happen to find a good Bristol garden designer that you like – he or she will have local industry connections to introduce you to quality, reliable gardening professionals with whom they have existing relationships. Here are some related professionals and vendors to complement the work of landscape architects & garden designers: Landscape Contractors, Garden & Landscape Supplies, Tree Services, Lawn & Sprinklers, Decks, Patios, Sheds & Summerhouses. How do I choose landscape architects or garden designers in Bristol? When choosing your Bristol garden designer or landscape architect, be sure to research their qualifications and look at examples of their previous work. A portfolio of previous landscape architecture or garden projects is important to ascertain both their credentials as well as their style. Once you have shortlisted or chosen your architect or designer, an on-site meeting is essential so they can see exactly what they’ll be working with. Stay briefed on all plans and developments, both before and during the project as a plan you approved previously may change during the course of the project. Be very clear on your budget – just like plans, costs may alter while work is underway so ensure your professional keeps you informed and does not incur additional expense without approval. If you are open-minded and budget-conscious, consider approaching new graduates keen for experience, who may negotiate a lower rate than more experienced professionals. How long have you been landscape architects or garden designers in Bristol? Find a landscape architect or garden designer on Houzz. 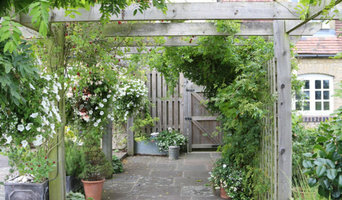 Narrow your search in the Professionals section of the website to Bristol landscape gardeners. You can also look through Bristol photos to find a garden you like, then contact the garden designers in Bristol who worked on it.